Your tires greatly affect the quality of your car. Proper tire inflation can save you a lot of money in the long run. Tires that are not well-inflated can prevent your car from getting good gas mileage or can even cause you to get into an accident. Poor tire pressure can cause your tires to have a shorter life span, and the team at CarRegistrationAdvisors.org knows that buying new tires can be costly. Checking your own tire pressure can save you time and money, and the tips below explain the benefits of owning your own tire pressure gauge. Rising gas prices have made trips to the pump more expensive. All drivers aim to purchase cars with good gas mileage, and you can increase your fuel economy by taking care of your tires. Owning your own tire pressure gauge allows you to make sure your tire pressure is not too high or too low. Tires that are inflated properly get better gas mileage, and this can save you a significant amount of money. The team at CarRegistrationAdvisors.org knows that spending less on gas can greatly impact your budget. Checking your own tire pressure periodically can keep your fuel economy on track. No one wants to suffer the consequences of getting into a car accident. Accidents can cause injury to yourself, your passengers and your vehicle. This costs time and money, and you may even be forced to pay a fine. 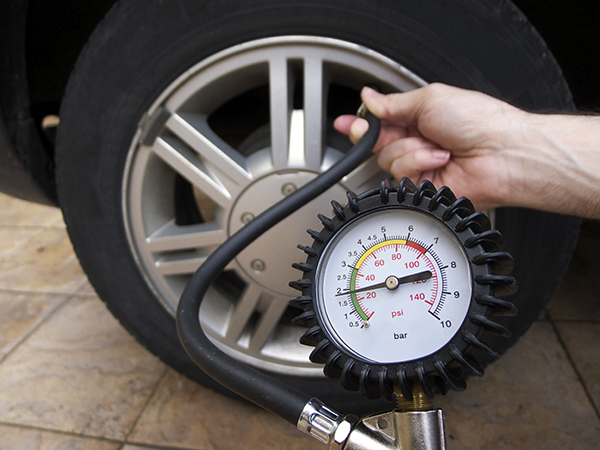 Using your own tire pressure gauge can help you keep tabs on the inflation of your tires. Low tire pressure can lead to a collision in unfavorable driving conditions. Low tire pressure may cause you to lose traction on the road and to lose control of the car. The experts at CarRegistrationAdvisors.org know this can be extremely dangerous on the highway or during inclement weather, so it is advised to keep a tire pressure gauge in your glove compartment to avoid driving on poorly-inflated tires. You can lessen your chances of getting into a car accident and contribute to keeping our roadways safe. Buying a new set of tires can be stressful and expensive. There are many types of tires available for different road and weather conditions. If you regularly check your tire pressure, you can expand the life of your current tires. Tires with good tire pressure will get better traction on the road, and will not be worn down as fast. The experts at CarRegistrationAdvisors.org know that keeping track of your tire pressure will benefit your car today and in the future. If your tires have the correct amount of inflation on a consistent basis, you will be able to get more life out of them, and you won’t be forced to go shopping for a new set of tires as soon as you thought. Purchasing a tire pressure gauge can help you make the most of the tires you have.